Multivariate Solutions has been providing statistical consulting services to marketing, political and business clients since 1998. Multivariate Solutions is a unique marketing research consultancy that integrates sophisticated market research methods with specialized industry expertise to guide important business decisions. Achieving marketing research goals in an increasingly competitive business environment demands a keen grasp of market dynamics, a thorough understanding of the marketing research process, the ability to employ the right multivariate strategy to solve the stated goals, and the visionary ability to anticipate emerging trends. In support of that effort, Multivariate Solutions offers an integrated combination of research and consulting services to clients across the globe, with particular expertise in the U.S., Europe and Israel. We serve political campaigns and major polling firms to analyze data, diagnose candidate issue strategies, develop communication, test ad effectiveness, and micro-target voters to successfully reach target constituents and get out the vote. Our clients are end users across a variety of different industries – research firms, political and public relations firms, advertisers, and marketers who seek to augment their core competencies without expanding their fixed costs or workforce. We are small enough to provide agile, attentive client service but sophisticated enough to marshall all marketing research resources needed to solve challenging problems with custom solutions. Depending on your needs, we can support you from study inception through final presentation, on time and under budget, working closely with you to select the optimal research methodology and analysis model. As a statistical consulting and market research firm that provides project design, modeling, consulting, data mining, or full project management to address key study issues, we furnish actionable results and provide client solutions within the context of strategic partnerships or on a per project basis. Whether it be multivariate analysis, market research, predictive modeling, regression analysis, randomized tests, pricing strategies, market forecasting, conjoint analysis or discrete choice modeling, information to support a pitch, to impress a client, to give them insight, or to improve performance on a study, contact us. Mr. Lieberman has more than 25 years of experience as a researcher and statistician in the marketing and advertising research fields. He has worked extensively with clients in financial services, information technology, food service, telecommunications, financial services, political polling, public relations, and advertising testing fields. He founded Multivariate Solutions in 1998 and now works with an international clientele including advertising firms, political strategy groups, and full service market research companies. 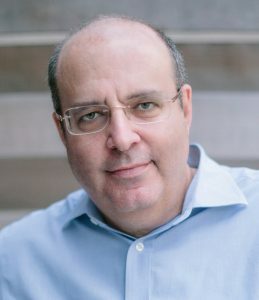 Mr. Lieberman has taught at City University of New York and the University of Georgia as an adjunct professor of statistics and market research. Mr. Lieberman holds a B.A. degree in Mathematics from Rutgers University, an M.A. degree in International Affairs from George Washington University, and an M.S. degree in Statistics from Rutgers University. Mr. Lieberman is the author of Multivariate Analysis for Strategic Decisions and The Science of Winning Elections, and co-author of Market Research Insights – 22 Visual Displays. He is also a frequent author for industry magazines and a frequent speaker at conferences and webinars. Michael Lieberman is @statmaven on Twitter. Mr. Montgomery has more than 24 years of marketing research and consulting experience serving a broad range of corporate clients, particularly in the information technology, telecommunications, financial services, packaged goods, healthcare, and media industries. His areas of expertise include brand strategy and measurement, and CRM measurement. He is experienced in applying model-based quantitative analysis – particularly choice-based modeling – to solving competitive problems. He is also experienced in qualitative techniques. Mr. Montgomery served as Executive Vice President at Marketing Strategy & Planning in New York City, a strategic marketing consulting firm. His client practice areas were in the telecommunications and information technology industries, as well as for a broad range of leading corporations with branding and corporate identity issues. Mr. Montgomery holds a B.A. in English Literature from the University of California and a M.B.A. from Northeastern University. He is a member of the American Marketing Association and the American Society for Quality Control. He is currently a Faculty Mentor for the Marketing Research Institute/ESOMAR-endorsed Principles of Marketing Research distance-learning course at the University of Georgia.